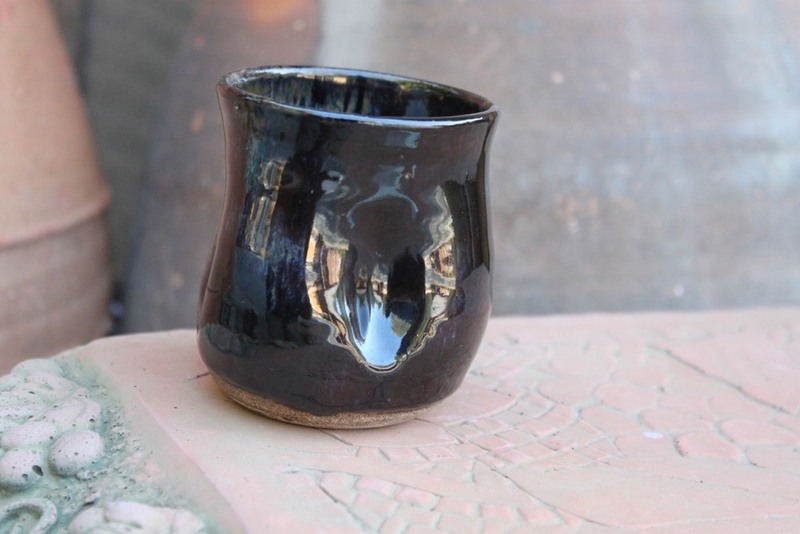 Hand turned stoneware Cup is lightweight for pottery. . Keeps your cold drinks hot or cold as stoneware holds the temperature of the liquid inside. Durable and dishwasher safe. Our Cup holds about 8 ounces. It is 4 inches tall and 2 1/2 inches across the top. High fire glaze never stains or scratches. Lasts a lifetime. Great for gift giving. All are signed and dated pieces of usable art. Very collectable.